assists goods agent q.v. and takes his place when he is absent; sometimes also acts as goods traffic canvasser q.v. a goods agent or a mineral agent q.v. who deals with coal traffic only. a district inspector q.v. who supervises and directs canvassers q.v. in a district, and who is responsible to goods agent q.v. for efficiency of canvassing arrangements therein. as for agent, goods, but is in charge of all goods stations or depots in a district. as for agent, mineral, but is in charge of all stations or depots, where main traffic is mineral traffic, within a district. under control of passenger manager or of district passenger manager q.v., circularises a definite railway district by means of advertising bills, etc., approaches churches etc., offering special rates for outings and otherwise increases passenger traffic in his district. has j entire charge of a railway goods station or depot, controlling staff, directing district canvassing agents q.v. and supervising generally work of canvassers, goods foremen (766), checkers (706), officemen (706), loaders (706), etc. q.v. as for agent, goods, but duties confined to mineral traffic. has charge of clerical staff in booking office, parcels office, left luggage office, lost property office, etc., at a large passenger station. is in charge of a railway company's town receiving office; is responsible for seeing that parcels, etc., received at office, are labelled and prepared for despatch, and sent promptly to station, also for collection of charges thereon. a passenger agent q.v. who represents and guards interests of a railway company at a station of another company to which his own company has only running powers. calls on commercial firms and others offering and explaining traffic facilities and trying to secure their custom; reports to goods agent q.v., if canvassing for goods traffic, or to passenger agent q.v., if canvassing for passenger traffic; sometimes specifically designated, e.g. goods traffic canvasser. 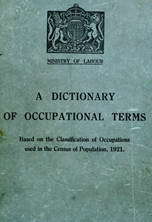 is employed in large goods shed or depot; acts under instruction of yard master, goods agent or of goods inspector q.v. according to size of depot; supervises number of working foremen, cf. goods foreman (706), and is responsible for co-ordination and efficiency of cartage arrangements; precise duties vary according to goods handled in depot. is responsible for efficient surveillance of railway company's stations, yards and depots, to prevent pilfering, etc. ; directs and supervises police inspectors q.v. and railway police generally; consults with chief legal adviser as to prosecution of offenders. calls on customers and collects freightage, demurrage and other dues owing to a railway company. is in supreme charge of control office, controlling drivers (701), guards (702), shunters (704), porters (706) q.v., etc., engaged in working traffic over a specified area; issues instructions, etc., to train controllers q.v. is in charge of rolling stock of a railway; arranges its distribution, and keeps records of its whereabouts; is responsible for its upkeep and repair. is one of a number of controlling officers who, under, direction of chief controller q.v., take charge, in turn, of desk in traffic control office and who control engine men (701), guards (702), goods porters (706) q.v. etc., working over a specified area; or is wholly employed in regulating trains or guards over an area from a point other than a control office. keeps watch on railway company's property for pilfering, thefts of luggage, etc. ; follows movements of suspected persons; works in plain clothes under direction of police inspector q.v. a running foreman q.v. who allots engines to their respective services, generally for a week in advance; has schedules of duties posted in engine shed. see inspector, chief ticket (travelling). a travelling excess inspector, cf. inspector, travelling, who supervises work of excess luggage collectors (706) q.v. at stations in a specified district. directs and supervises capstan men (706) q.v. at large goods depot; is responsible to goods agent q.v. for prompt moving of goods wagons to and from loading platforms in depot. directs and supervises cattlemen (706) or goods porters (706) q.v. at a cattle depot, in loading and unloading of cattle (chiefly) or goods into and out of trucks. supervises and directs work of checkers (706) q.v. in goods station or depot. has charge of railway grain warehouse; controls and directs work of loaders, checkers (706) q.v. etc. controls staff of locomotive engine shed or yard; arranges and supervises work, e.g. cleaning and preparation of engines for drivers, despatch of engines at times scheduled, arranging staff rosters, etc. ; personally supervises engine shed work. is in charge of gang of meat pitchers (706) q.v. at railway meat depot; directs loading and unloading of wagons. directs ropers (706) q.v. at a goods depot and is responsible for their work. employed in large engine sheds with other running foremen, under control of locomotive or running shed foreman q.v. to carry out latter's instructions; employed on shifts in common with lower grade engine shed workers but as distinct from running shed foreman. supervises and directs a number of searchers and tracers (706) q.v. directs sheeters (706) q.v. and is responsible for their work. a foreman in warehouse wherein railway company stores goods for customers; supervises goods porters (706) q.v. and ensures that arrangements for storing; are carried out; checks goods received and is responsible for despatch of goods or delivery into vans in correct quantities, etc., to firms direct or to their clients. general term covering such supervisory officials as yard inspector, station inspector,, cattle foreman q.v. ; obsolescent. a head office inspector q.v., or, if stationed in one town, a station inspector q.v. who examines advertising spaces on rolling stock and premises of a railway company for purpose of checking duplication and overdues (time expired posters); takes note of vacant spaces; arranges replacement of defaced or soiled advertisements, etc. ; deals with all kinds of advertisements, cf. billposting inspector. general term for any official who assists an inspector and replaces him in case of absence; for duties, see inspectors defined under this code number. a station inspector q.v. who supervises transfer of passenger's baggage from train to boat, or vice versa, at sea-port station. makes periodical examinations of ballast on permanent way in a district; orders repairs where necessary; inspects ballasting operations. travels a district to see that bills, etc., announcing traffic arrangements, are properly posted, and kept in good condition; generally supervises work of bill-posting porters (706) q.v. is responsible for periodical inspection of brakes of railway rolling stock in a particular district, reporting for repair where necessary. examines bridges periodically; reports damage or strain; supervises repair operations; inspects and passes work of bridge contractors. supervises cab ranks of large passenger stations; sees that regulations are observed, and that drivers have permits to stand on railway premises. a head office inspector or a district inspector q.v. who examines work of canvassing staff in a defined district; receives returns of orders and general reports from goods agent q.v. is responsible for mechanical efficiency of rolling stock within his district; sees that wagons, etc., are properly constructed and maintained in repair; orders repairs where necessary; on some lines, also does work of carriage cleaning inspector q.v. ; graded as district inspector q.v. a head office inspector or a district inspector q.v. who examines passenger rolling stock after cleaning, and is responsible for efficiency of cleaning arrangements in one or more railway districts; work sometimes done by carriage and wagon inspector q.v. a district inspector q.v. who inspects cattle consigned by rail, and makes reports on their condition, with a view to examining claims which may be made; generally supervises cattle traffic, cf. cattle foreman. examines periodically chains used in a definite district; sees that they receive proper care; arranges replacement of worn or defective chains. a head office inspector q.v. who supervises work of goods inspectors, reporting to goods manager q.v. supervises and is in charge of iron and steel work inspectors q.v. directs and supervises travelling ticket inspectors q.v. ; arranges their turns of duty and is responsible for efficient performance of duties. a head office inspector or a district inspector q.v. who examines and reports on arrangements for getting, storing, etc., coal supplies, etc., for a railway- system, or district thereof. makes periodical examinations of cranes, arranges for repair where necessary; is generally attached to a district. makes records of delays in clearance of goods stored, or of private rolling stock, for purpose of charging demurrage. an inspector in any department whose duties cover a district, i.e. a defined area less than that of an entire railway or railway division, but covering more than one station, yard, depot, siding, etc. ; normally combines work of two or more specifically designated inspectors, e.g., train, inspector, carriage and wagon inspector q.v., according to type of district controlled. a district inspector q.v. who examines work of all goods stations and depots in a defined area working under district goods manager q.v. a travelling inspector q.v. in any department whose duties are confined to one district of a railway. takes records, e.g. power of draw-bar pull from engine, effect of faulty track, by reading and adjusting necessary instruments in dynamometer car, attached to engine for purpose of measuring speed, acceleration, power developed, etc. a parcels inspector q.v. wholly or mainly engaged in connection with fish traffic; examines fish consigned by rail and again on arrival and records condition so as to be able to report in case of claims for damages against company; generally supervises working of fish traffic. a station inspector q.v. who is responsible for regulation of staff working in area in station yard. inspects gas producing plants, filling arrangements, tanks, and everything connected with railway company's gas supply; reports defects necessitating repair. a yard master q.v. responsible to goods agent for supervision of general working of a goods depot in shed or yard, or both. a head office inspector or a district inspector q.v. who examines goods trains before departure, to see that all is in readiness for journey, when this is not done by load inspector q.v. a yard inspector q.v. who exercises general supervision over staff and working of a large goods yard. a head office inspector q.v. who supervises work of guards (702) q.v. in a particular district, e.g. by means of surprise visits; examines guards' journals, inspects equipment, etc. an inspector at any department located at head office and exercising his functions over an entire railway or division of railway, as distinguished from district inspector, station inspector q.v. examines periodically all hydraulic cranes, lifts, etc., in a particular district, arranging for repairs where necessary. examines and reports on condition of iron and steel structures belonging to railway. a head office inspector q.v. who examines and reports on lighting arrangements of railway rolling stock or railway premises. a district inspector or yard inspector q.v.. according to how stationed, who inspects loaded trucks or wagons at a railway depot or goods yard, to see that loading has been properly performed, and that vehicles are fit for journey; uses loading gauge where necessary; sees that sheeting and hoping are securely fastened. makes periodical examinations of interlocking signalling and points gear. examines locomotive engines in one or more locomotive sheds; notes defects and reports to locomotive superintendent q.v. examines mechanical equipment, other than locomotives, such as hoists, cranes, oil buffers, weighing machines, luggage lifts, etc., and arranges for necessary repairs. directs goods porters (706), carmen (719) q.v. or other railway workers, working at a public market, loading and unloading market produce from or into railway wagons or drays. makes periodical inspections of meat depots; examines meat on arrival, so as to be able to report in case of claims for damages against company. examines, periodically, meters (gas, electricity or water) and arranges for repairs or replacement when necessary. a district inspector or a yard inspector q.v. who is responsible for efficient carrying on of mineral traffic in a district or at a particular yard; directs shunters (704) q.v. etc., engaged in handling such traffic. inspects and reports on progress of new works under construction by railway company. a yard inspector q.v. employed on night shift. a head office inspector or a district inspector q.v. who makes periodical examinations of enginemen, firemen and drivers (701) q.v. ; tests eyesight, etc. periodically visits booking and other offices at railway stations; inspects books and returns and checks tickets and cash in hand. is responsible for inspection of materials supplied to a railway company, and for periodical examination of stocks held, checking quantities, conditions, etc. supervises work of inspectors of materials q.v. ; receives their reports; makes departmental reports to general superintendent q.v. arranges for painting of buildings, bridges, signals, etc., when necessary, and is responsible for painting work being done efficiently and at proper time. supervises staff and working of parcels offices throughout a railway or in district of railway or at a large station. examines passenger trains, when made up in yard or sidings, to see that all is in order for proceeding on journey. periodically examines and reports, to superintendent of works q.v., on a section of permanent way as to condition and need for repair; inspects work being done on section. a station inspector q.v. who controls platform staff (foremen, porters (706) q.v. etc.) of large passenger station; is responsible for smooth working, direction of passengers, clearance of luggage, etc. supervises work of a body of railway police. a head office inspector q.v. specially dealing with traffic to and from race meetings. examines and tests contractors' supplies of rails, passing or rejecting them according to condition. makes periodical inspections of rail motor trains, i.e. small trains propelled by self-contained motors, and arranges for repairs or overhaul where necessary..
makes periodical inspections of railway receiving offices in his district; examines books, accounts, equipment and discusses work generally with clerk in charge. has general control of rolling stock, sees that requests are promptly met, e.g. allocates engines to station yards; answers complaints and is responsible for effective use and supply of rolling stock; reports to superintendent, if at head office, otherwise to district superintendent q.v. makes periodical inspections of running sheds and yards of a district; examines general organisation of shed, staffing, etc. ; inspects records and discusses work generally with running shed or locomotive foreman q.v. a head office inspector q.v. in civil engineer's department who inspects sanitary arrangements on railway property, i.e. lavatories, urinals, drains, etc., reporting for repairs where necessary. a yard inspector q.v. who supervises all shunting arrangements in large yard or sidings. walks round, in marshalling yard or sidings, inspecting goods wagons to ensure that they are properly loaded before departure, where this is not done by goods train inspector or load inspector q.v. reports to yard inspector q.v. makes periodical inspection of signalling system of a defined district, arranging for repairs where necessary. combines duties of signal inspector and of telegraph inspector q.v. is responsible to stationmaster q.v. for general working of traffic on station platforms; directs porters, parcel porters, horse and carriage porters (706), ticket collectors (705) q.v. makes periodical inspections of stores at stations or depots of a district; checks stocks and examines as to condition. makes periodical inspections of telegraph offices and signal boxes; sees that instruments, etc., are in working order. inspects all timber supplied for use on railway works in a particular district; examines it as to fitness, correctness of measurements, etc. a head office inspector or a district inspector q.v. who inspects loading of timber on railway rolling stock, and ensures that loads are properly secured. a head office inspector q.v. who carefully checks new time bills before issue, to ensure that times of trains are correctly given. is responsible to traffic inspector or to district traffic manager q.v. for efficient working of company's toll bridges; pays surprise visits to toll houses, receives reports from toll collectors (705) q.v., instructs them, where necessary, regarding working of bridges and usually receives monies collected. supervises work of searchers and tracers (706) q.v. of a district. is responsible to district traffic manager q.v. for inspection and supervision of traffic working in district; enquires into and reports on delays, etc., in order to ensure smooth working, inspector, train; investigates train delays and is generally responsible for running trains to scheduled time in his district; graded as district inspector q.v. see inspector, carriage and wagon. a head office or a district inspector q.v. in any department who travels on goods or passenger trains, as distinguished from one who is normally stationed at head office of railway or district or at a particular station; sometimes specifically designated, e.g. goods train travelling inspector, travelling excess inspector, travelling horse inspector, travelling luggage inspector, travelling mineral train inspector, travelling parcels inspector. a travelling inspector q.v. who boards corridor trains and examines passengers' tickets, as a check on work of travelling ticket collectors and examiners (705) q.v. makes periodical examination of all tunnels and reports on their condition to superintendent of works q.v. as for inspector, carriage and wagon. periodically examines weighing machines of a district as to correctness and condition, arranging for repairs where necessary. an inspector, usually in goods yard, who directs and supervises staff employed in goods yard or passenger yard of large station. is responsible for regular inspection of women's waiting rooms in a defined district as to cleanliness, efficiency of attendance, etc. an inspector q.v., attached to a district office, who visits stations within his district to trace lost luggage; inspects station records, etc. is responsible to goods manager q.v. for efficiency of cartage arrangements of a railway; directs inspectors and other grades engaged in connection with cartage. directs goods agents and canvassers q.v. ; is responsible to goods manager for efficient carrying-on of goods traffic in his district; duties as for manager, goods; cf. manager, divisional goods. is responsible to passenger manager q.v. for efficient working of passenger traffic in a specified district; directs and controls passenger agents, canvassers q.v., etc. ; also supervises, or corresponds with, ticket agencies in his district. combines functions of district superintendent, district passenger and district goods manager q.v. a goods manager q.v. in charge of goods throughout a division of a railway, i.e. area larger than a district; cf. manager, district goods. is supreme managing officer of railway, to whom secretary, chief accountant, chief mechanical engineer, superintendent, passenger, goods and mineral managers and all other officials and employees of railway are directly or ultimately responsible; is himself responsible to board of directors, advises and consults with them, and carries out policy decided upon by them. combines functions of superintendent, passenger manager, and goods manager q.v. is responsible for relations of railway company with trading community; for solicitation of business; for classification of goods traffic, determination of goods rates and charges and quotation of exceptional rates; for storage and cartage arrangements and for investigation and settlement of claims arising in connection with goods traffic; directs and controls district goods managers q.v. ; sometimes is assisted by cartage manager q.v. as for manager, goods, but is concerned only with mineral traffic; sometimes is responsible also for distribution of locomotive coal. is responsible for relations of railway company with public, so far as concerns passenger traffic, which includes parcels, milk, fish, horse and carriage traffic; for solicitation of business, passenger, parcels etc. traffic; for classification of traffic and quotation of rates; for development of excursion and pleasure party traffic and arranging therefor; for parcels cartage arrangements; for investigation and settlement of claims arising out of passenger and parcels, etc., traffic; directs district passenger managers q.v. is in charge of sack and waterproof sheet department, where these duties are not separately assumed by sack superintendent and sheet superintendent q.v. ; supervises issue and return; sees that sacks and sheets are carefully stored, and kept in a state of repair. general terms covering officials of certain rank, e.g. running foreman, assistant goods agent q.v., who are on outdoor as distinct from indoor staff. has charge of plans in civil engineer's or draughtsman's room, in railway office; indexes them and produces them when called on to do so. a district inspector q.v., in any department, responsible for efficiency of arrangements for supplying relief employees of various grades in that department; keeps roster of employees available for relief and issues instructions by which posts, vacant by reason of illness, holidays, pressure of work, etc., are immediately filled. in charge of smaller locomotive shed than that supervised by shed superintendent q.v., i.e. in which there are only a few, if any, locomotive foremen q.v. ; duties vary between those of shed superintendent and of locomotive foreman, according to size of shed. is in charge of passenger railway station; controls and directs work of staff of all grades; is responsible for all monies received, for correctness of stock of tickets, for regular rendering of all reports and returns, and for punctual despatch of trains; often, especially at small stations, also does work of goods agent q.v. assists station master q.v. and replaces him in case of absence. relieves station master q.v. during night; is responsible for general supervision while on duty, but does not exercise general management and control of station; usually done by station inspector q.v. a station master q.v. who controls no definite station, but is held in readiness to relieve a regular station master where necessary. (ii) an assistant inspector in civil engineer's department or in signal, telegraph and electrical department; assists inspector, deputises on particular jobs and replaces him when he is absent. is responsible to general manager, or to divisional general manager q.v., for handling of all descriptions of traffic at stations and in yards, and its movement on running lines, for distribution of passenger vehicles, and for traffic statistics; directs district superintendents q.v. ; on some lines also performs some or all of duties of passenger manager q.v. ; sometimes specifically designated, e.g. day superintendent, night superintendent. has administrative control of whole of cattle traffic department of a railway system. is responsible to superintendent q.v. for efficient performance, within a specified district, of duties delegated to him; controls station masters, yard masters, and other operating staff, controllers, guards (702), signalmen (703), shunters (704), porters (706) q.v., etc., within his district; cf. superintendent, divisional. is responsible to locomotive running superintendent q.v. for running of locomotives to scheduled time, including coaling, cleaning and shed routine generally, within a specified district; controls shed superintendents, shed masters q.v. is responsible to superintendent q.v. for efficient performance, within a particular division, an area larger than a district, of duties delegated to him by superintendent; as for superintendent; cf. superintendent, district. is responsible to locomotive running superintendent q.v. for efficient performance, within a particular division, an area larger than a district, of duties delegated to him; as for locomotive running superintendent; cf. superintendent, district locomotive. responsible for effective working of electrical and telegraphic systems throughout line, including electric lighting and maintenance of equipment, e.g. telegraph wires, instruments. has charge of premises and staff of rail way fish market. is head, at general or divisional headquarters, of department responsible for engine working, for running repairs of locomotives at sheds, and sometimes also for washing, cleaning, lighting and gassing of carriages, but not for construction; issues directions to district locomotive superintendent or to divisional locomotive superintendent q.v. is responsible for maintenance, in good condition, of permanent way; directs permanent way inspectors q.v. accordingly. controls and directs staff responsible for care of and repairs to all outside machinery on a railway system, e.g. cranes, hauling apparatus, etc. combines functions of superintendent, so far as passenger traffic is concerned, and of passenger manager q.v. is responsible to locomotive running superintendent, to divisional locomotive superintendent or to district locomotive superintendent q.v. for oversight of locomotive running shed; directs train staff, drivers, firemen (701) q.v., etc., and repair staff, boiler smiths (190), fitters (210) q.v., etc. supervises work of sack department of a railway system, or a district thereof, sees that proper count is kept, and obtains reports from stations and depots as to state of stock; cf. sack and sheet manager. (ii) (obsolescent) see yard master. controls and supervises all work in connection with tarpaulin sheets in a district; pays periodical visits to depots; obtains returns showing stocks and disposal of sheets, etc. ; cf. sack and sheet manager. responsible to civil engineer for effective staffing, equipment and maintenance of signal system throughout railway; cf. superintendent, signal and telegraph. combines functions of signal superintendent and of telegraph superintendent q.v. (ii) a goods agent q.v. in charge of a goods station. is administrative head of stores department of a railway system; controls purchases and issues of stores, including locomotive coal. is responsible to civil engineer or to superintendent q.v. for effective staffing, equipment and maintenance of telegraphic system throughout railway; cf. superintendent, signal and telegraph; superintendent, electrical and telegraph. a district inspector q.v. who keeps records of times of all trains arriving at, or departing from, a large station, and renders returns to authorities concerned. (ii) sometimes has similar responsibilities in passenger yard, marshalling and breaking up passenger trains. assists yard master q.v. in directing marshalling operations in yard.